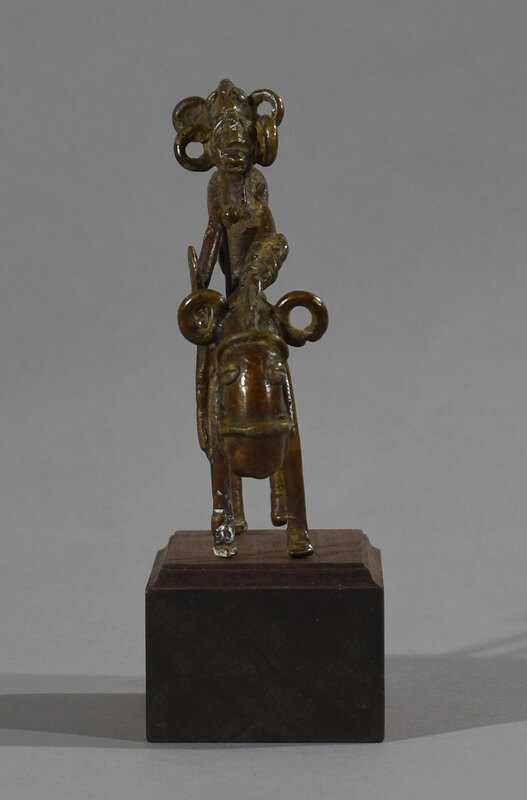 Senufo Horse Riding Warrior, Bronze Figure, Mali or Burkina Faso. 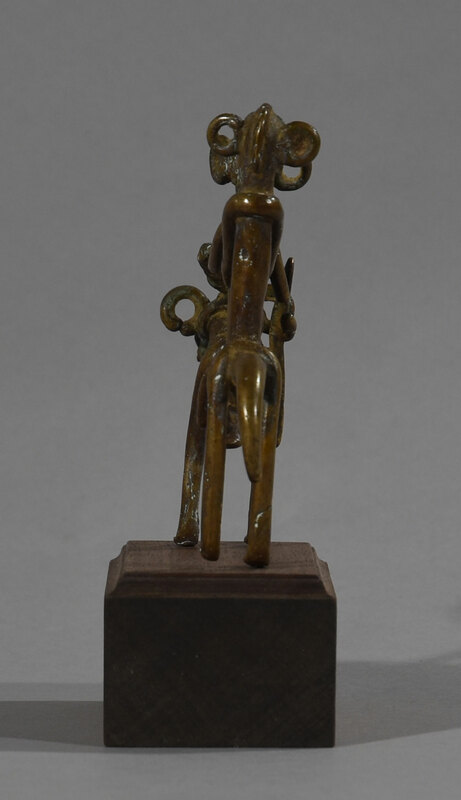 This is an unusually rare and ancient bronze equestrian representation from the Senufo tribe in Mali/Burkina Faso, consisting of two riders with exceptionally large ears. Even the horse has the same characteristic big ears. The big ears demonstrate that both riders and horse find themselves in enemy country and the size of the ears symbolizes big caution and ability to hear all sounds. 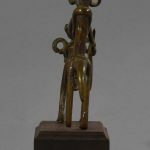 This extraordinary, authentic, well preserved Bronze of the Senufo tribe in Mali/Burkina Faso exhibits a virtuosity and sophistication of style that has astonished the Western world since they visited the area in the 15th Century. It is made using the lost-wax casting method (cire perdue in French). The basic method of lost-wax casting has been widely practiced on the African continent for centuries. 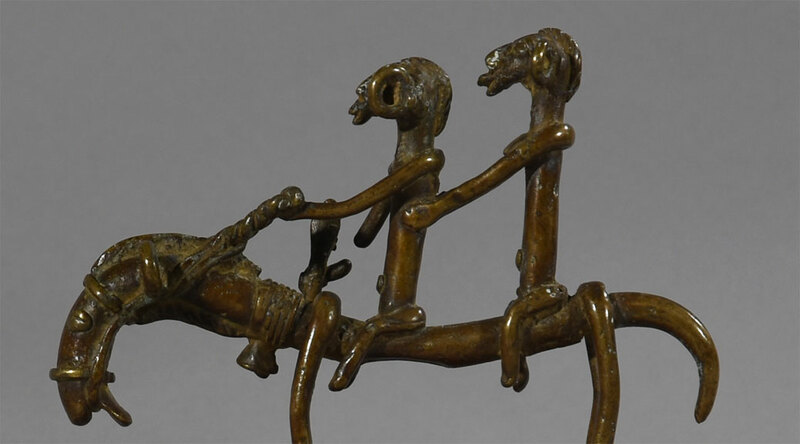 While it is difficult to establish how the method was developed or introduced to the region, it is clear that West African sculptors were casting brass with this method for several hundred years prior to the arrival of the first Portuguese explorers along the coast in 1484. The technique requires a great deal of skill, involving extensive knowledge of both pottery and metalworking, and a careful attention to changing temperatures to prevent unwanted cracking or other damage to either the clay mold or to the metal sculpture during the casting process. 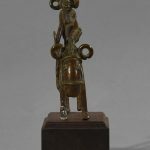 Artists such as Pablo Picasso and Fernande Léger, were especially inspired by Senufo art, which through the years has been shown from time to time at the Fabre Museum in Montpellier.. 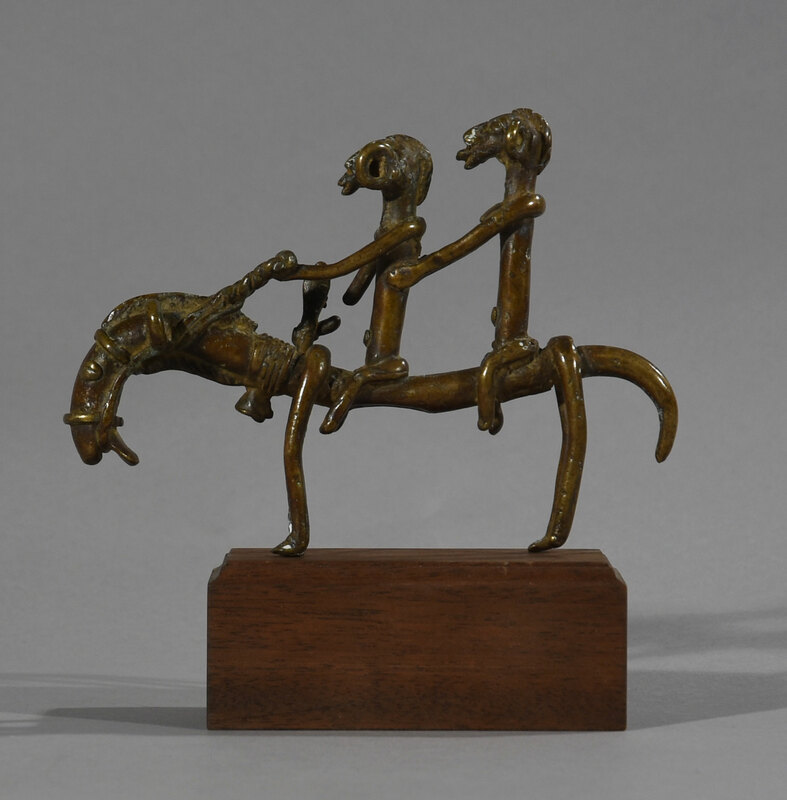 The age of this figure is hard to determine but the style suggests that it originates from the late 19th Century. Dimensions: H:11,5, L:16, B:2,5 – Weight: 400 g.
Provence: From a private Belgian collection sold to a Brussels dealer.